Jesus Christ the Fullness of Life (JCFL) is an ecumenical initiative in the heart of London providing a space for Christians from different traditions to join together in prayer and friendship. The JCFL Prayer Vigil takes a Christ-centered theme and weaves together a simple liturgy with readings from the Word of God, music from a variety of Christian traditions, intercession and silence. 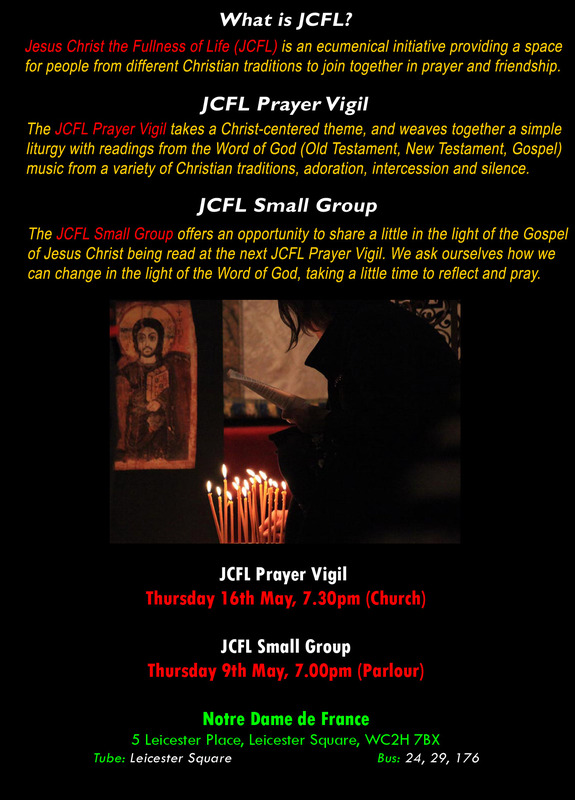 For further information about the JCFL Prayer Vigil please click here. For further information about the JCFL Small Group please click here. 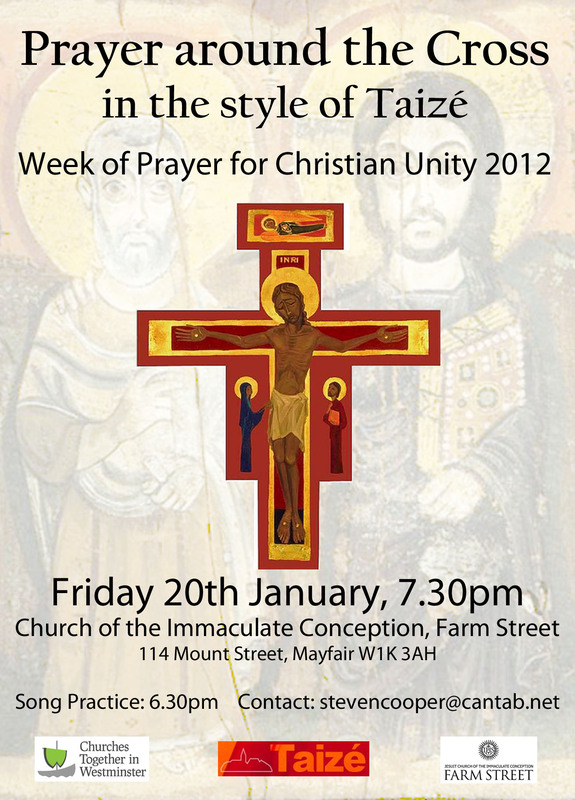 The Monastic Family Fraternity of Jesus joined forces with young people in London to lead evenings of prayer and reflection, open to Christians of all traditions, during the Week of Prayer for Christian Unity 2005. This initiative was called ‘Jesus Christ the Fullness of Life’ (JCFL). In addition to the participation of thousands of young people, the event was supported by authority figures from the Catholic, Anglican, Methodist and United Reformed churches. In more recent times, JCFL has worked in collaboration with churches in London to help facilitate a number of ecumenical initiatives including a Young Adult Pilgrimage to Taize, a Pauline Prayer Vigil, Abide in Me and a Prayer around the Cross. JCFL continues to strive to provide an inclusive space for those wishing to spend a little quality time with Jesus and one another in prayer and friendship.